Being There for Baby—and Yourself: A new report focuses on supporting teen parents in foster care as parents and people. 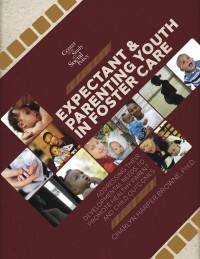 Recently I had a chance to read the report “Expectant & Parenting Youth in Foster Care: Addressing their developmental needs to promote healthy parent and child outcomes” by Charlyn Harper Browne at the Center for the Study of Social Policy. I became a mother while I was in foster care, and I found the report inspiring, relatable and informative. The report says that parents in the system and their children do best if the parents get support both with parenting and with developing goals for their own future. When I was 8, I was placed in foster care. Throughout my time in foster care, I didn’t have support, which really made me feel lonely and unsure about what was to come in my life. I got pregnant at 16. My agency made me feel so ashamed about making a mistake. They also took me away from my little sister and moved me into a mother-child foster home. The idea was that, when I gave birth, the foster parent would help me take care of my child. Unfortunately, that didn’t happen. I felt like a stranger and that’s how I was treated. The report describes how to educate teen parents in foster care, provide emotional support, and motivate youth to achieve their own goals. Below is an excerpt from my interview with Ms. Harper Browne. Q: Can you describe some of the needs of teen parents in foster care? A: When you’re a teenager there are a lot of challenges. You’re developing your identity and becoming more analytical. You’re also dealing with physical and sexual changes. Lots of teens have a feeling of being overwhelmed just preparing for adulthood. The challenges are tripled when you’re a teen parent in foster care. I was a late bloomer when it came to parenting. Still, when I became a parent, at 37, I was scared to death. I supposedly had knowledge of child development. I had even conducted parenting classes. But I was getting ready to be responsible for someone else’s life, and the enormity of that responsibility was absolutely frightening to me. Teen parents need support taking on that responsibility when they’re still working on being responsible for their own lives. They need help understanding that this child is their responsibility even though they are teens. At the same time, they need support to feel good about themselves as parents. 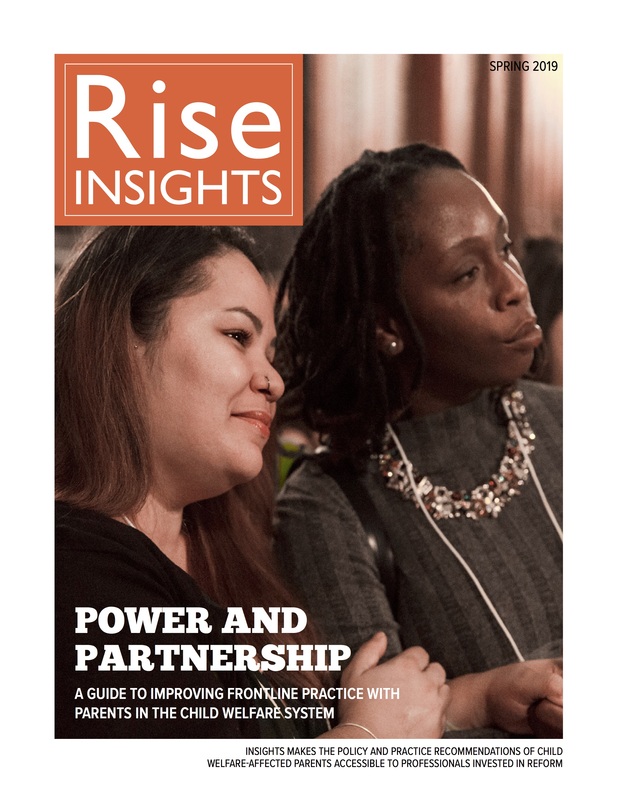 In our report we note that one experience that increases the likelihood of positive outcomes for young parents and their children is participating in a parenting program where staff are nonjudgmental and assume that the young ladies in the program want to be responsive and responsible parents. Too often, staff make them feel terrible about being a parent at such a young age, and no one parents well when they feel that way. On top of that, young parents need support envisioning their own futures. It can be very hard for young people to feel like they’re moving forward when they’re dealing with the challenges of being in foster care and the challenges of being a parent. You can’t just tell youth to feel positive about their futures. I think youth need evidence that they can have a future that’s different from their present. That means talking about the future that’s two weeks away as well as the future that’s two years away. It means looking at goals that may seem unattainable right now and breaking them down, even into itty-bitty goals, so they feel more manageable. We have to help young parents begin to ask themselves not just, “What are my goals?” but “What steps do I need to take to achieve my goals? And, “What do I need to avoid that will interfere with me reaching my goals? If I have a setback, do a have a plan B?” When youth see that they can have small successes it helps them believe that they can eventually reach the big goals they have for themselves. Maybe the biggest need young parents in the system have is to have someone to turn to. They need a nonjudgmental person who understands their needs as a teen, as a mom, and as a teen mom in foster care. They need a person that can give them both concrete support and emotional support. But many young parents in the system don’t have that person. Without it they can have a hard time preparing for their own future and for their child’s future. Q: How can the child welfare system accomplish these goals? A: One thing we’ve got to change is the training that child welfare and other helping professionals receive because too many of these professionals know very little about trauma. They need training about trauma and about how trauma impacts development. Trauma is a huge piece of what young parents in the system have to deal with and that trauma has got to be addressed so that parents can parent lovingly. You can’t do this by ignoring the trauma and putting it in a box. If parents’ own feelings are so overwhelming, those feeling become the parent’s focus and the child becomes secondary. Addressing trauma does mean learning more about self-care. It means helping parents find ways to come to terms with their own feelings so they have enough space for their child’s feelings. Usually, addressing trauma requires finding someone who knows about trauma and can help you find ways to begin to address it and live fully in spite of it. In some social work schools, training on trauma is the same as 20 years ago. But we know so much more about trauma now than we did then. That training needs to be updated and we need ongoing training. We need to have workers at every level—social workers, psychologists, and educators—who are able to see behaviors they might ordinarily judge as abnormal, inappropriate, or bad but can understand where those behaviors come from and the impact that trauma has on behavior. We also need workers that can connect young people to trauma-informed services so that they can begin to understand their own reactions and find ways to feel more in control of their lives. Q: What about preventing pregnancies? What does your report say young people need? A: Many times youth become pregnant because they don’t use contraception effectively. If you read the description of a lot of pregnancy prevention programs, you’d think topics like using contraception are being covered. But what youth tell me is that they didn’t get this information. If the information was presented, it wasn’t done in a way that resonated with youth. A lot of youth also tell me that they don’t talk about sexuality and contraception with adults because they feel like they’re being judged. We have to think about getting youth accurate information in ways that are nonjudgmental. I think we need to think harder about how we teach youth in foster care about sexuality, reproduction, and contraception and figure out how to make those discussions more meaningful to them. Youth in care sometimes tell me they got pregnant on purpose because they wanted to love someone unconditionally and have someone love them unconditionally. But if they had someone to connect to who loved them unconditionally, or they understood the parent role, they might not feel like they needed to have a baby at 14. One idea would be to have former foster youth who are reflective about their own experiences help teach those classes. We also need to provide services early on that help youth find meaning in other parts of their identity if we want to help them have a reason for delaying pregnancy.